With NORSKjazz.no (Ozella Music, 2009), veteran saxophonist, producer, label head and goat horn virtuoso Karl Seglem brought a distinctive Norwegian flavor to the conventional sax/piano/bass/drums format. By recruiting younger players, Seglem ensured the continuance of his country's jazz traditionone as imbued by folkloric elements and dark classicism as it is the American vernacularthrough the increasingly endangered process of mentoring. For NORSKJazz.no, Seglem enlisted the preexistent chemistry of Eple Trio, whose The Widening Sphere of Influence, released on Seglem's own NORCD label, was one of 2008's best examples of forward-thinking piano trioism. The same group is back for Skoddeheimen, but augmented by Lindha Kallerdal, a Swedish singer whose uncanny blend of folk tradition and avant-garde concerns has garnered attention for collaborations with artists including Mats Gustavsson, William Parker and Ikue Mori. Skoddeheimen, loosely translating to "home of fog," is appropriate to its inspiration: gifted amateur painter Inger Anne Ree Hunderi, whose work and battle with Alzheimer's Disease was the subject of a 2009 Trondheim exhibition that, along with this CD, was intended to spark more open dialogue about this tragic, debilitating illness. Seglem describes the process of translating abstract emotions into music as "a great challenge," but succeeds completely at evoking the complexities of descent into dementia. Over the course of fourteen miniatures, ranging from solo to quintet, Seglem provokes a myriad of emotions, ranging from the profound sadness of "Vals for fire" and upbeat but still hinting at melancholy "Song for to," to the overtly positive beauty of "Stengde dører," darker disturbance of "Raud kveld" and cacophonous chaos of "Mørkt og lyst." Still under 30, pianist Andreas Ulvoan increasingly visible force on the Norwegian scene with Eple, trumpeter Mathias Eick and saxophonist Froy Aagredemonstrates breadth, maturity and economy beyond his young age. Bassist Sigurd Hole, a frequent collaborator with influential Norwegian guitarist Jon Eberson, brings a keen ear, robust tone and, on "Vals for bass," expressive arco to the date. Drummer Jonas Howden Sjøvaag, whose group Navyelectre was a highlight the 2009 Punkt Elope, may be more devoted to song form in his own pursuits, but here he demonstrates equal improvisational acumen, from his spare propulsion on "Song for to" to more acute power on "Skyer driv inn," one of four free improvisations scattered amongst Seglem's original compositions. The spirit of Jan Garbarek looms large over Seglem's music, but cross-sects the saxophone icon's recent lyrical work with the freer concerns of his youth. If Norwegian traditionalism imbues Garbarek's oeuvre, it defines Seglem even morenot just through his remarkable use of goat horn, but in the lilt of his phrasing and deeply singing melodism. Less dry and acerbic than Garbarek, Seglem's devotion to the purity of every note remains equally profound. 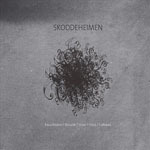 With only four pieces exceeding four minutes, and most less than three, Seglem's group never overstays its welcome Skoddeheimen is a relatively brief but deeply resonant album, suggestive of the emotional pathos inherent to both Alzheimer's sufferers and those around them. Track Listing: Vals for Piano; Vals for fire; Song for to; Raud kveld; Vals for bass; Skyer driv inn; Korallvals; Valsen til Ola; Stengde dører; Mørkt og lyst; Vals for tenorsax; Skriket; Sein Song; Broten valz. Personnel: Lindha Kallerdahl: voice; Karl Seglem: tenor saxophone, goat horn; Andreas Ulvo: piano; Sigurd Hole: bass; Jonas Howden Sjøvaag: drums, percussion.